Today I was out again with my Bridgwater College students on Dartmoor. The aim for today was to complete the first day of a Hill Skills course including navigation training as well as environment and weather. We walked from Princetown to Dewerstone. The weather was generally kind but there were some very heavy hail and rain showers. On Day 1 of a Bridgwater College residential, after a trip to the supermarket and travelling down to Dartmoor we jumped in the River Plym for a group exercise. It is April and I am in Somerset! Yet today I had Sun, Snow and Hail whilst teaching climbing to Bridgwater College students at Goblin Coombe Car Park Crag. We did run in the end when the sky went black but still got 3 hours or so on the rock. 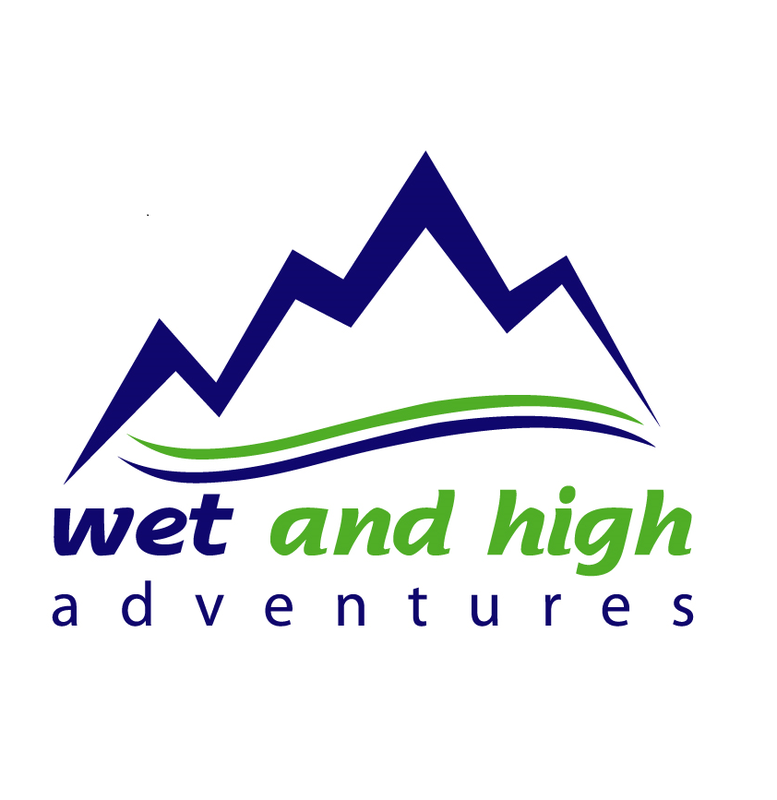 Today I was back out with Beth who is on the Wet and High Adventures Development Scheme. After a great day on two wheels yesterday we were on foot today looking at navigation in the mountains. After some micro nav in the Cwm Glas area we though we might as well pop up to the summit of Snowdon before making our way down via the Gyrn Las spur. 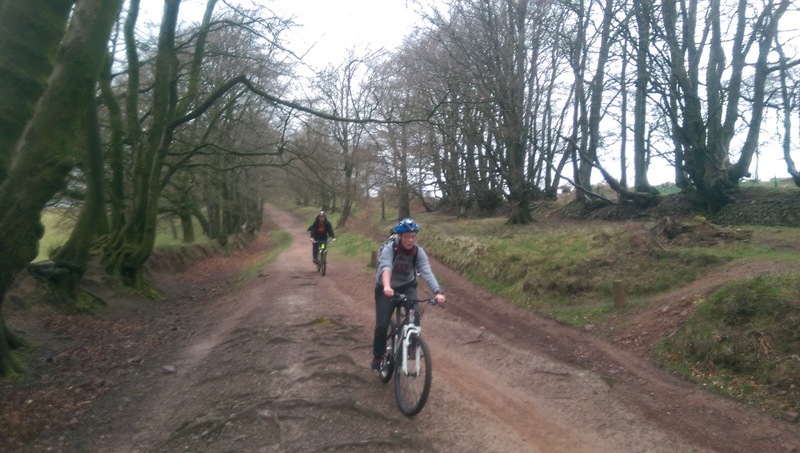 Today I was out riding the Marin Trail in North Wales with Beth who is on the Wet and High Adventures Development scheme. 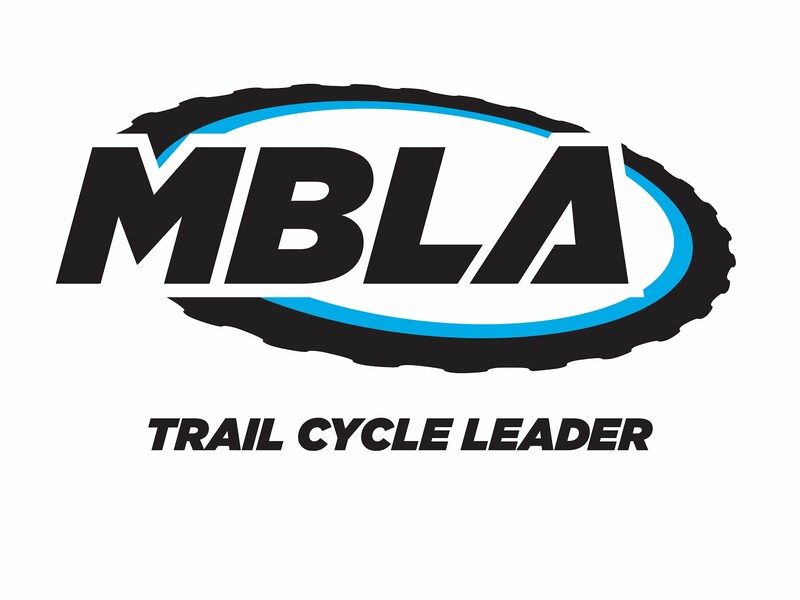 She is getting ready to complete the MIAS course this summer and the more time on two wheels the better. Wow, what a difference to Wednesday. 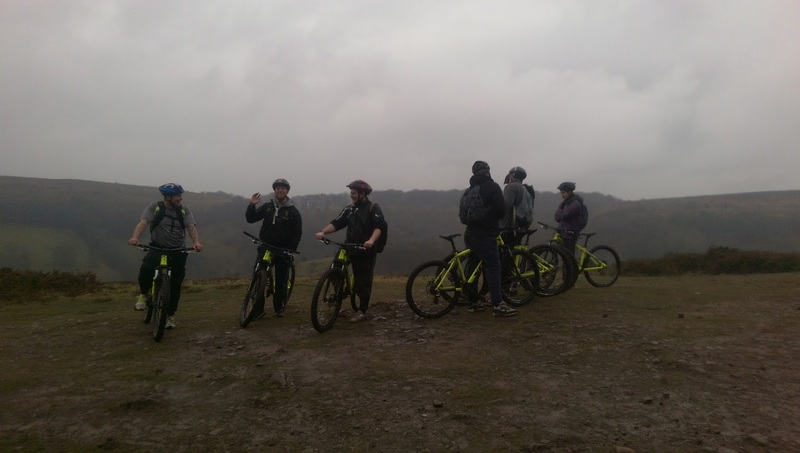 Today was mega wet but that didn't dampen the spirits as we cycled through mud and rain with my Bridgwater College students up on The Quantock Hills. Some good skills demonstrated as well as how to fall off. 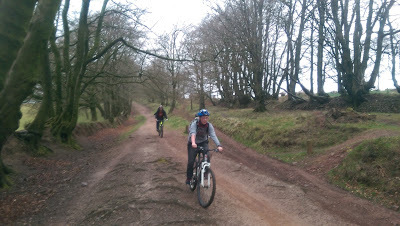 I am racking up the mileage this week but for a change I was on 2 wheels today. Intro to Mountain Bike session for my Bridgwater College students. We looked at some simple skills in the Ramscombe area before taking in a 90 minute circuit with some uphill tracks and single track descents. Some good efforts put in today. This group are going to be out and about soon offering guided walks in their respective areas and their local knowledge is really good so watch out for this service starting. 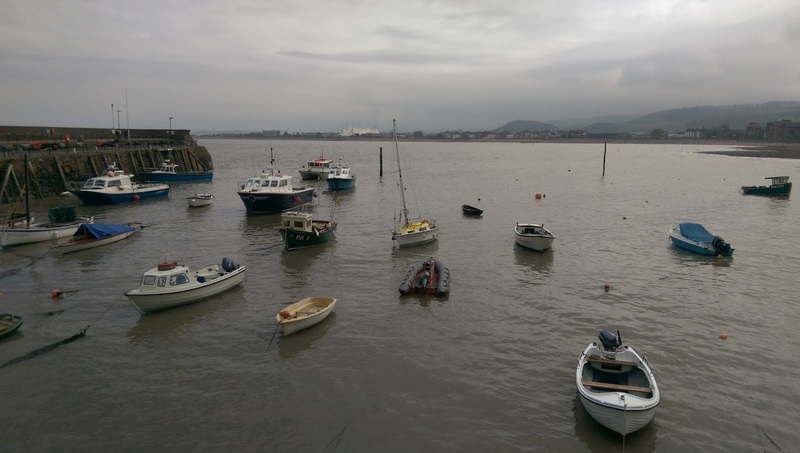 It is great to see the places you can get to within the scope of the Lowland Leader . 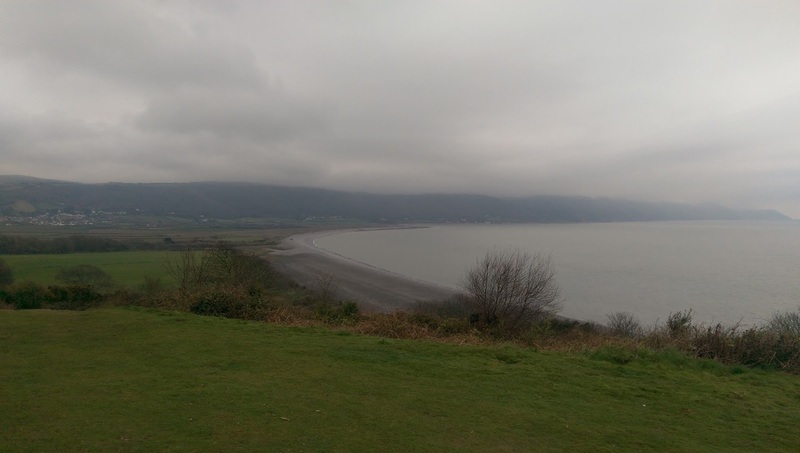 We were always only a few km from access and plenty of paths and tracks to choose from yet were able to get great views over the Severn estuary. Today I was directing a Lowland Leader Training in partnership with Andy Holborn. 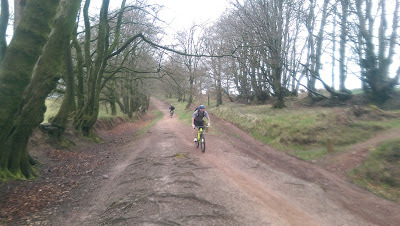 The course was arranged by Wet and High Adventures for members of the Mendip and Quantock AONB Volunteer Wardens and was based on The Mendip Hills today. A great bunch of knowledgeable and enthusiastic guys with lots of local knowledge. Back out on Dartmoor with Andy from the Wet and High Adventures Instructor Programme, taking yesterdays navigation training to the next level and apply each skill in the appropriate place and with Andy making most of the decisions. It was nice to bump into some ex colleagues and students from Plymouth College who were also out on the moor. Today I was on Dartmoor with Andy who has just started the Wet and High Adventures Instructor Development Scheme. We spent the day out around the Princetown area looking at navigation techniques. 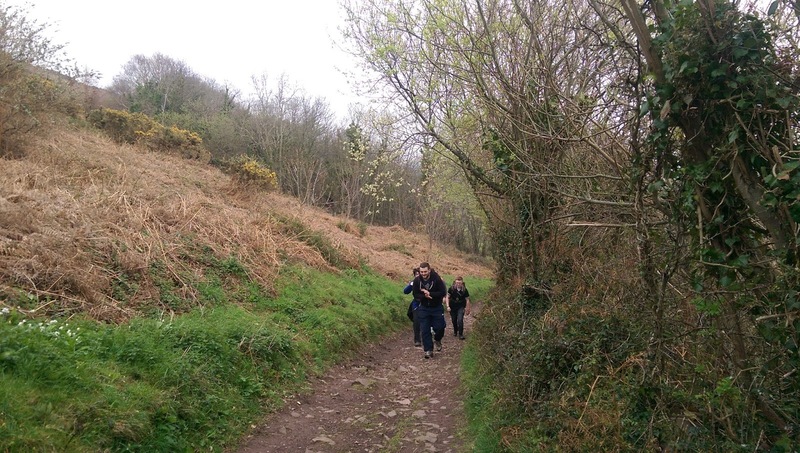 Today I was out on Exmoor with Bridgwater College Foundation Degree students. 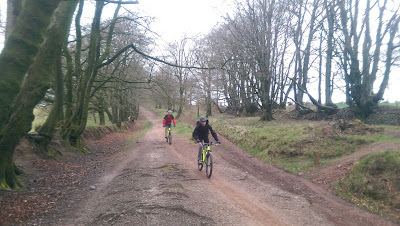 The route was from the top of Porlock Hill, down into Bossington and up over Selworthy Beacon into Minehead. It was really misty of top with visibility of less than 50m at times (hence not many pictures).